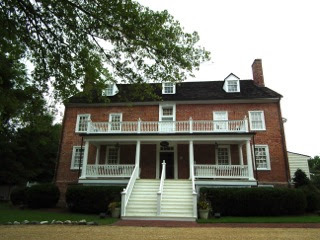 Walkerton Tavern in Glen Allen, Virginia, was built for John Walker between 1824 and 1825. Walkerton served as a tavern in 1828 and 1829. Since then, the building has been used as a hotel, post office, store, voting precinct, a private home, and possibly a field hospital for Union Calvarymen in 1864. The grounds contain a small Hopkins family cemetery. The Hopkins family used this as a private residence and lived in Walkerton from 1857 to 1941. View photo album and get more historical information on photo descriptions.